On Sale Now! Save 5% on the Taurus SC 20oz by Taurus SC at The Net Stores Network. MPN: CSI13598. Hurry! Limited time offer. Offer valid only while supplies last. 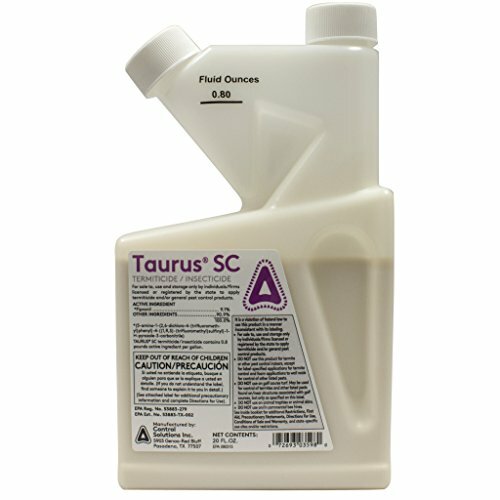 Taurus SC Available size 20 oz bottle New Taurus SC is a water based suspension concentrate of 9.1 % Fipronil for pre and post termite treatments. Taurus SC is a non-repellent insecticide that is undetectable to target pests, allowing them touch, ingest and spread the insecticide throughout the entire colony. If you have any questions about this product by Taurus SC, contact us by completing and submitting the form below. If you are looking for a specif part number, please include it with your message.